If you want your teeth straight, whiter and looking natural without the time required for braces, then porcelain veneers maybe the perfect option for you. Porcelain veneers can provide you with the smile makeover you have always wanted. Porcelain veneers are an ideal way to correct crooked, chipped, or stained teeth. Veneers essentially use ceramic porcelain to cover the surface of teeth, giving the appearance of a bright, natural smile. Our dentist team in South Austin can help you achieve your best smile in only three visits. You will begin the process with an assessment to determine which type of veneers are best for you. Your natural smile, face shape, and other aesthetic factors are all taken into account to get you the desired result. 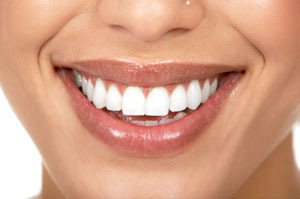 During the next visit, your teeth will be prepared for the placement of veneers. You will wear temporary veneers while your custom-made veneers are being crafted. At your final visit, your veneers will be placed and you will leave Circle C Dental with a new, beautiful smile! Contact us today or call us at 512-301-2483 to schedule your smile makeover!